Whether it's 100 degrees or pouring rain (maybe both? ), chances are you don't want to go outside right now. 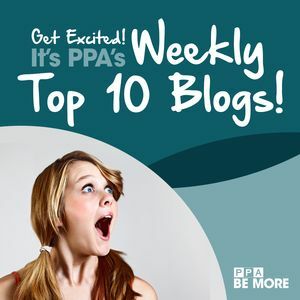 So, take the weekend to stay in and check out our top photography blog posts from around the web! GOODS: PPA and the Print Movement have insight on five types of products for your prints that will excite your clients and keep them coming back for more. If you've been wondering, "where do I start with prints? "...here's your answer! COPYRIGHT: Max Dubler has an amazing piece up that will, unfortunately, probably resonate for a lot of photographers. See his back-and-forth with a rep from a skateboarding company that posted one of his photos without his permission (and without paying him his requested $25 fee). HISTORY: These nine photographs contain shocking and important moments in time. Pacific Standard has them up with background info and interviews with the photographers who captured each shot. Watch IPC Judging and Live Broadcast! COMPETITION: The International Photographic Competition judging begins July 30 and EVERYONE is invited to watch! Plus, check out IPC Live on Facebook Live throughout the IPC and get your fill of interviews and critiques hosted by Booray Perry! INSPIRATION: Photography is equal parts art and craft. Once you have the craft side taken care of, where do you find your "voice" artistically? No matter who you are inspired by, you are uniquely...you. Christopher Malcolm of FStoppers has this piece up about finding your own voice instead of attempting to copy the greats. PASSION: Time Magazine asked 13 working photographers and editors the following questions: Why do they do it? Why do they wake up every morning ready to take photographs, to edit them, to publish them? Why is photography important to them and, by extension, to all of us? Their answers are revealing and might line up with yours! TECHNIQUE: Hyperfocal distance renders an entire scene in focus. It allows you to capture the foreground through to the background, keeping the whole image sharp. But how does it work? PetaPixel has this video up to walk you through exactly how to achieve this desired effect. CUSTOMER SERVICE: Running your photography studio can be daunting when it comes to remembering the golden rules about customer service. Open Forum from AmEx has a great piece up explaining three things your potential clients want out of your relationship/interaction...and how you can get it to them. PRINT: The Phoblographer's Nathan Hostetter is a champion for the Print Movement! See how his piece on Print dovetails with your own goals as a PPA Print Artist! Taking pride in your work, building relationships with your clients, finding the importance in tangible objects...sure, we know this stuff, but it's great to see the message being spread! TRICKS: Using metal prints is a really cool way to be sure your photography stands up to the elements...and then some! Fire, dirt, stomping, squishing...PhotoJoJo has a whole series of stress tests to observe just how strong these metal photo prints are!